Named after the Japanese katabatic wind, this ultralight, minimalist shell is crafted with 3L GORE-TEX® Active to maximise waterproofness and breathability on the mountain, without adding bulk. Designed for fast and light ascents, the Oroshi's technical features include a fully featured helmet-compatible hood and harness-friendly alpine handpockets with invisible laser cut bonded zipper construction. Read the full product feature list below. 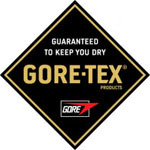 Gore-Tex ® Active - Garments engineered with GORE-TEX ® Active product technology are built for extreme breathability and are ideal for highly aerobic, done in a day activities. These garments are durably waterproof and windproof, combined with optimised breathability. These GORE-TEX ® Active laminates combine a lighter, thinner GORE-TEX® membrane with fine-denier performance textiles to deliver the ultimate three-layer solution for the active consumer. On the liner side, a proprietary lamination technology integrates the backer textile directly into the GORE-TEX® membrane, allowing extreme breathability and excellent next to skin comfort.